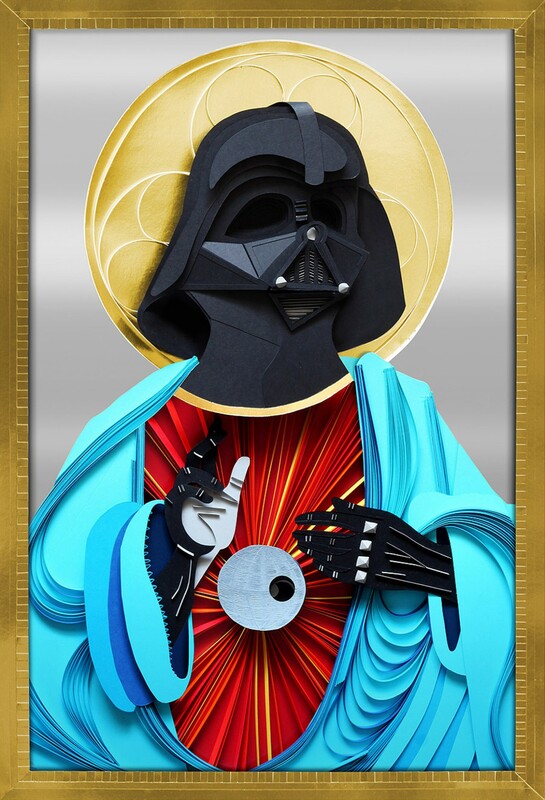 You have already probably guessed that I'm a big Star Wars fan, so in lieu of the new movie "Rogue One: A Star Wars Story" coming into the box office, I have decided to do a post highlighting some amazing paper craft works that I have stumbled across in the past months. Oh say for instance this Paper Darth featured above that showcases some pretty stellar quilling skills by Lobulo, showing bad old Darth in all his glory, quite literally. Also included in this post is a mixed media cardboard AT-AT Walker, a papercraft Millennium Falcon, an origami TIE Fighter, paper portraits of the Star Wars characters and so much more! 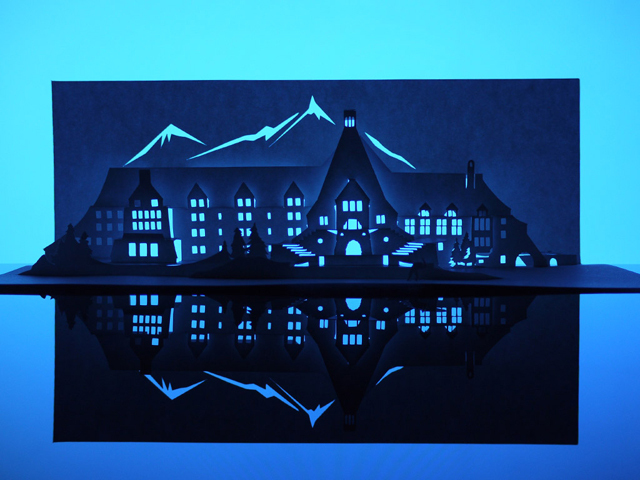 Last year around about this time we featured the introductory Horrorgami series from talented kirigami artist Marc Hagan-Guirey aka Paper Dandy, which featured The Shining, The Amityville Horror, The Exorcist, and The Addams Family. Well, it's that time of year again! With Halloween right around the corner it felt appropriate to share his latest NEW works of Horrorgami where in this installment of classics we have the house from Psycho, fire station from Ghostbusters, apartment building from Rosemary's Baby,the Deezte residence from Beetlejuice and the Venice waterway from Don't Look Now. Each Horrorgami is sold as a limited edition of 13, how fitting, for purchase on his site here. Stay tuned, the series won't be complete until there are 13 total. 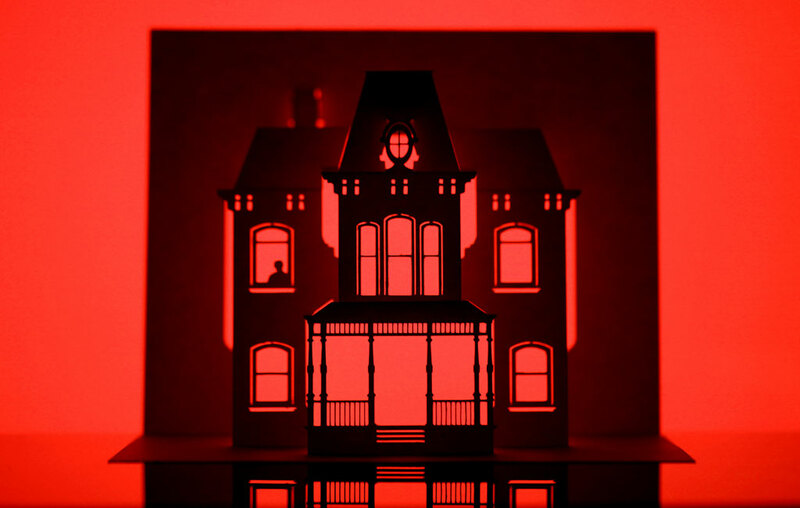 Just in time for Halloween, horror-film enthusiast Marc Hagan-Guirey has made these papercut versions of famous haunted houses, in a series he calls Horrorgami. He’s already created four houses from horror films and T.V. shows: The Shining, The Amityville Horror, The Exorcist, and The Addams Family. He plans to make 13 houses total and display them in an exhibition in London. This specific technique is called kirigami, where the piece is both cut and folded to make the desired piece.